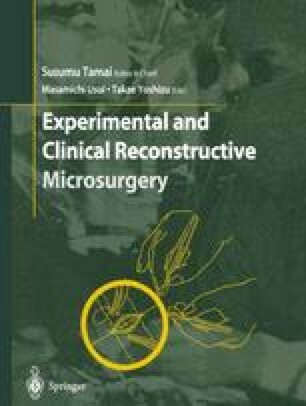 Thirty-five years have passed since Komatsu and Tamai performed a replantation of a completely severed left thumb in July 1965 , and 25 years or more have passed since the first clinically successful free tissue transfer by microsurgery was reported by McLean et al. in 1972 . Since these procedures were introduced, operating microscopes and microinstrumentation have become sophisticated, and the survival rate has accordingly steadily increased.